Nintendo has confirmed that it will support Splatoon 2 with content updates for a full year following its release, with new weapons, gear and additional stages all arriving during that time period. This follows on from the approach taken with the original Splatoon, which also benefited from additional content after release. That's not all, however - Nintendo has also confirmed that there will be Splatfest events for the next two years - the first of which takes place before the game is even released and can be accessed by downloading the Splatoon 2 demo tomorrow. What do you make of this plan of action? Are you happy to see that Nintendo is adding more stuff post-launch, or would you rather have everything from the start? Share your feelings by posting a comment below. I was kinda sad when they ended the splatfest on the last game. It's great to hear they will be supporting this one longer. Not only that, but I still believe that them not throwing all of their weapons and content at once let's them test and tweak things and help keep interest up. This time around we have so much content initially that it shouldn't feel like we are missing much from the get go. So there might still be something fresh left by the time I get a Switch. I hope a new mode is part of that extra content! The main question will be is this all locked content? I don't mind updates but gives us what the game has on the disc at least then add more later. Good. No excuse not to extensively support Splatoon 2 now that it's on a brand new console. New maps are the best! Another game with a free demo! Glad those are making a comeback with the Switch, I always loved trying out demos as a kid but they seem to have died out a bit in recent years. Oh boy, its gonna be 2015 all over again with people complaining that we're buying something we can't have yet because its "locked." 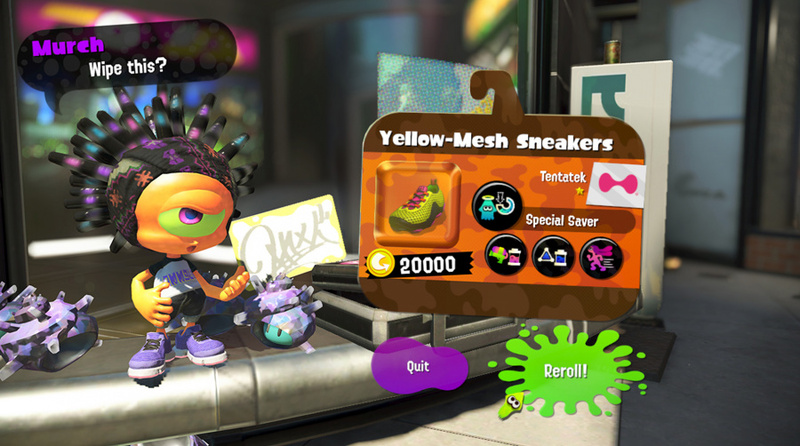 I know that the first game ended up getting extensions to its content, but I'd still really hope that the Splatfests go for more than two years. They don't require much from Nintendo anyways to make, and they really hold the community together. I'm excited for that Umbrella weapon. It's nice to see it won't just be different variants of existing weapons, but at least one brand new one too. Also super excited for that new boat stage! I'm pumped. I didn't play the first one, but if the testfire was any indication, I'll lose my entire life to this game, lol. @SLIGEACH_EIRE Wait, that's going to happen? But then who will be Nintendo Life's resident cynic?! @Nintendoer I'll still be a cynic. Pretty cool. Splatoon 2 is set for a healthy life. 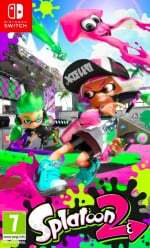 @Noonch The first few months of Splatoon's content were essentially on disc DLC (i.e. on the disc but not usable until post-launch), a perfect example of on disc DLC is Max Brass as a playable character in ARMS. And this content will cost.......?$?$? That's good. Glad it will be supported longer than splatoon. @Grumblevolcano He's referring to the fact that Switch doesn't use discs. @SLIGEACH_EIRE "I'll still be a cynic. " How about an update that removes the restriction on Salmon Run times? Available day one? The fact that the early DLC is most likely already on "disc" is ok in this case because all of Splatoon's DLC is free. If they were making us pay extra for it then there'd be a good reason to complain about it, but this is just time gated content to make sure they have enough time to get the off "disc" content ready to roll. @Noonch @Kimyonaakuma Lol, must have been thinking the first game when I typed that. Totally didn't even think of it being on a cart! Thrilled about 2 years Splatfest! It was over waaay too soon on the first one. And anyone that got the game for Christmas last year only had a few months of Splatfests to look forward to. @Grumblevolcano On-disc DLC is a negative connotation when it's on the disc but SOLD to you at a later date. It's not really a negative when it's on the disc but can't be activated until a set date because it's part of the game's online ecosystem to release it in stages but is still considered part of the core product and built into the price already. People seem to get confused by that. It's ok to have complete content but part of building the gameplay is to switch it on for everyone at at certain time. It's not ok to have complete content but tell people they have to pony up more cash to use it. That is really cool, making sure the game has legs! Since many games are going to the games a service model this is a nice approach to take. @crimsontadpoles well, not all content is made from the start. Besides, all those are just extras. The game is feature complete as it is. @Fandabidozi yes. When the online service starts in 2018 we'll need to pay to play online.